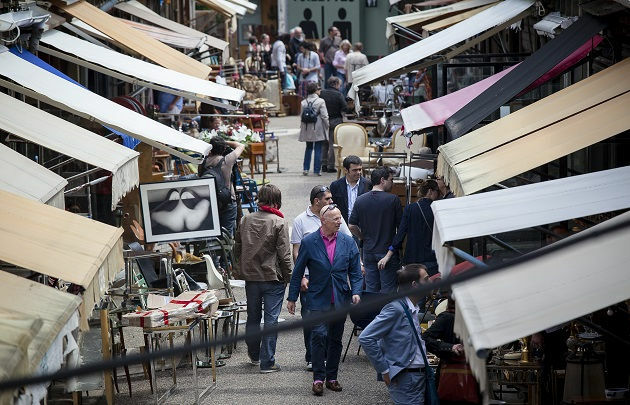 Scavenging flea markets is a French national sport. It even has its own verb: “chiner”. 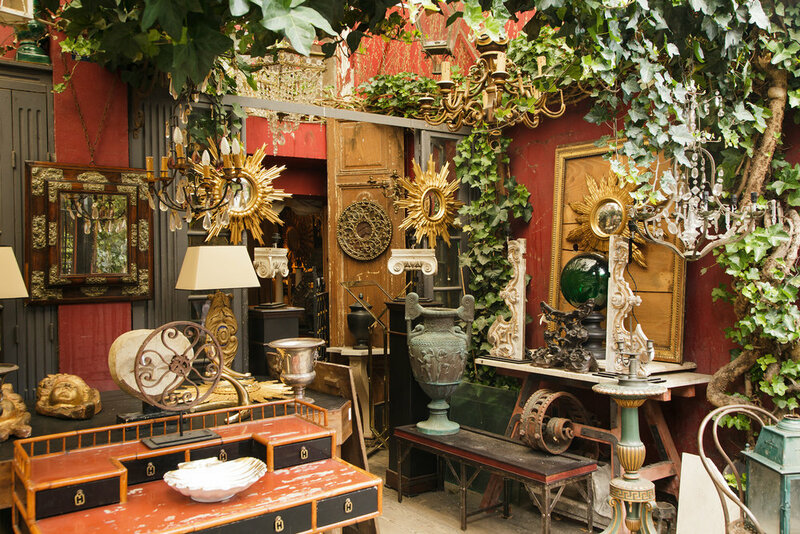 As soon as the warmer days arrive, antic stores and brocanteurs spill their wares on the trottoir or congregate on the Place du Marche on Sundays, offering a mesmerizing diversity of goods from rusted screws to embroidered linen, gleaming jewelry, spinning wheels or chest of drawers. 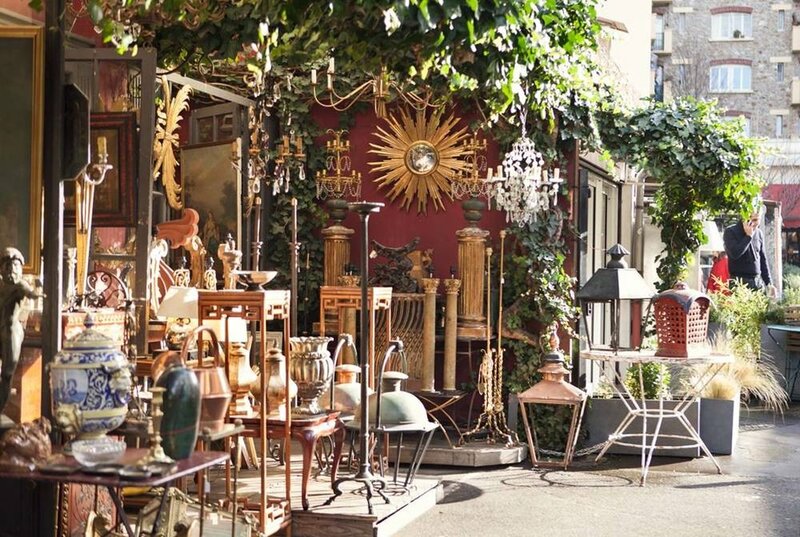 For those who need their fix all year-round, there is the Marche aux Puces at St Ouen, a Paris suburb that is blessed with acres of stalls and shops over flowing with old things from the four corners of the earth. 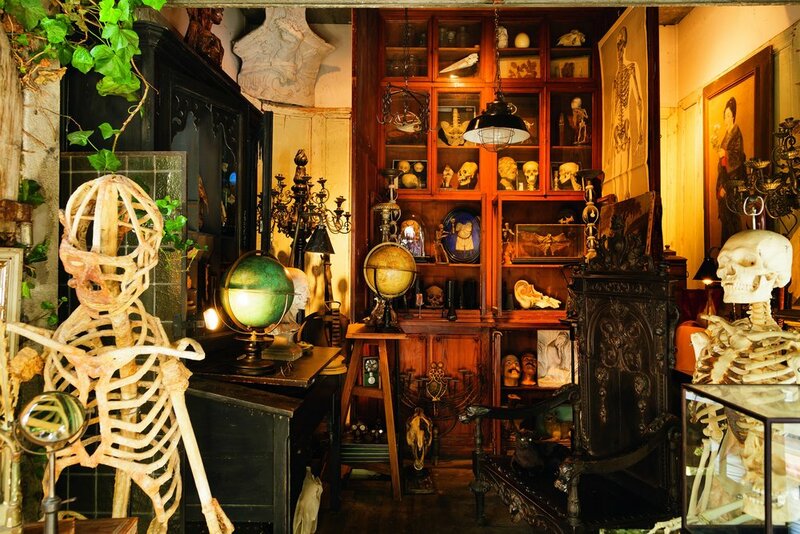 You can buy a vintage car, a ceramic cheetah, a human skeleton or a pair of Chanel earrings. Whatever you fancy, you are sure to find it there. regrouping vendors by specialty – there is even a hierarchy amongst the markets. The prestige attached to being located at one or the other market is (unfortunately) often reflected in the price tag. 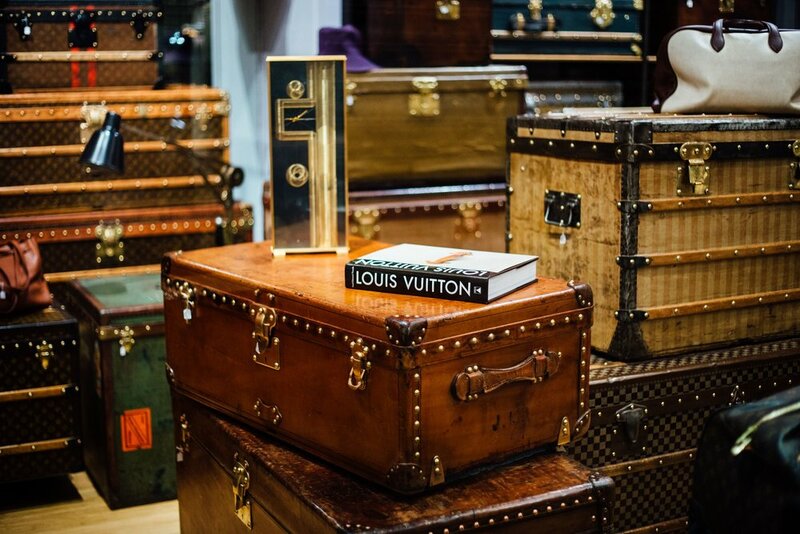 You can’t go to Les Puces just for a few hours – it’s a day expedition. So you are best to find out about restaurants in advance and book a table. I always go to Ma Cocotte – an old fashion nickname for “girlfriend”. The ambiance is relaxed and one can easily squander the afternoon, people watching at the terrace. It might take a few visits and gentle conversation to show your knowledge and true passion in order to build your credentials with a vendor. If she thinks you are only in to score on price, she will flog you her run of the mill items. Show her deference, appreciation and knowledge of the savoir faire and history of the pieces, and she will suddenly come up with items that can be traced 10 generations. 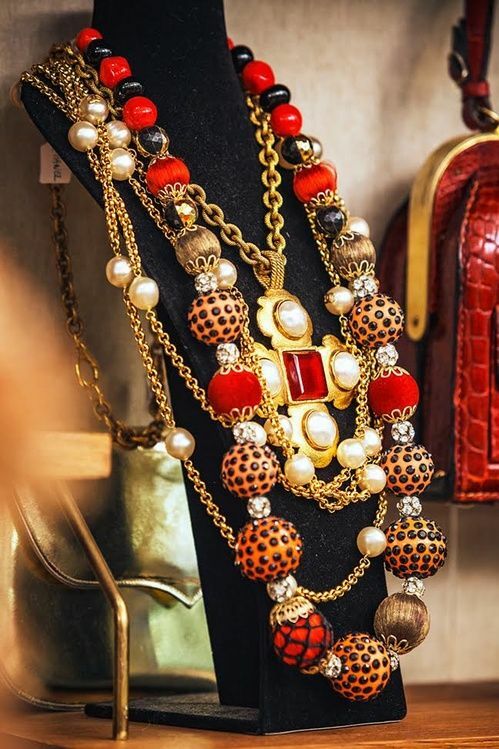 Vintage jewelry and fashion is a trade of passion (and sometime betrayal), respect, knowledge, inner circle anecdotes, patience, meticulous sleuthing and great secrecy – like all things in French fashion, the more understated and discreet, the better. 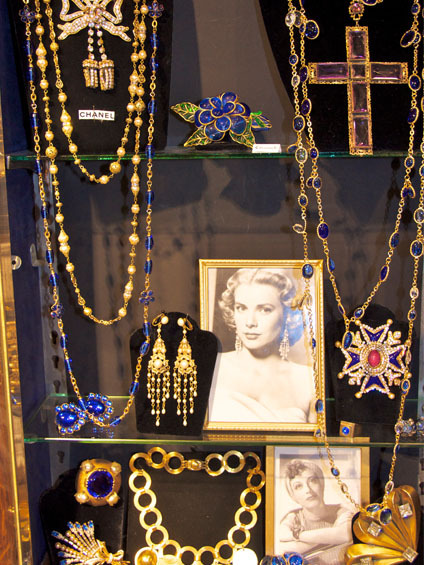 I (with 10 lucky ladies) am visiting Les Puces de Saint Ouen in October during our Paris Vintage trip. I will be sure to share it all on Instagram. Photos: Marche Paul Bert, Paris Office du Tourisme.